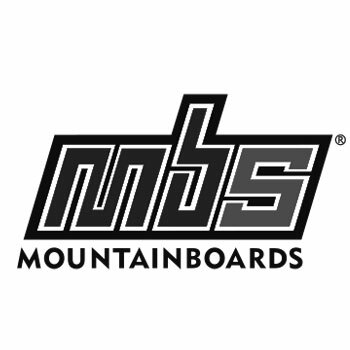 We have thousands of photos of mountainboarding from the last few years. They are all on piles of CDs and lost in folders on our servers. We have worked with many great photographers such as Paul Taylor, Paul Crilley, Simon Mitchell and Richard Boudia for years now. We figured these photos are going to waste here so we might as well share them with the world. For this reason we have set up our own Flickr account. For those who do not know what Flickr is – it is pretty much for photos what Youtube is for videos. It lets you share your photos with the world and allows people to comment on them. We will try and get as many photos as we can uploaded for your viewing pleasure. 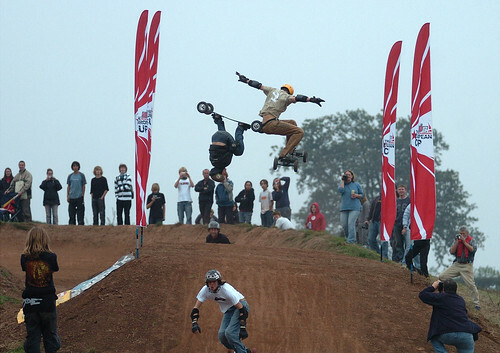 The photo above is the classic Paul Taylor shot of Renny Myles and Joe Dickson where they collide in the air at the Maxtrack Classic 2006. There is a lot of history in these photos which I am sure all MBS fanatics will enjoy. See the MBS Europe photostream on Flickr.